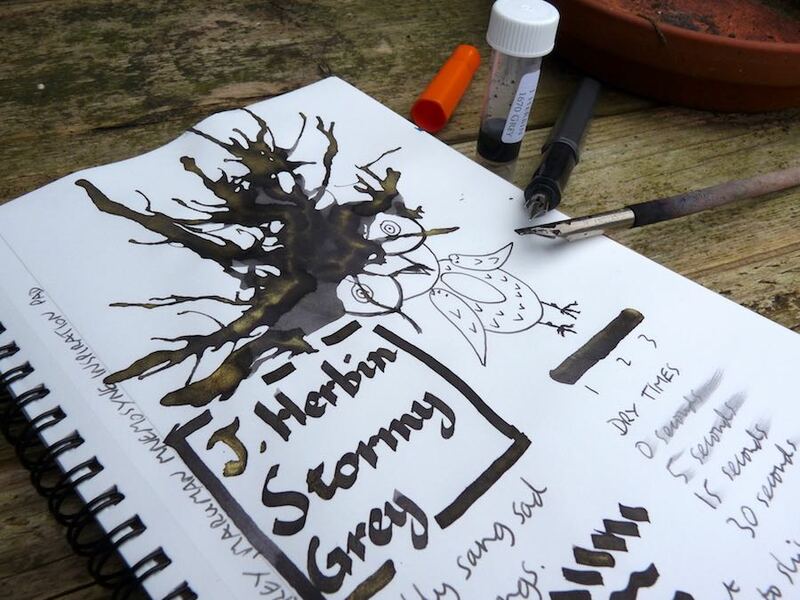 J. Herbin 1670 Stormy Grey Ink Review – Pens! Paper! Pencils! 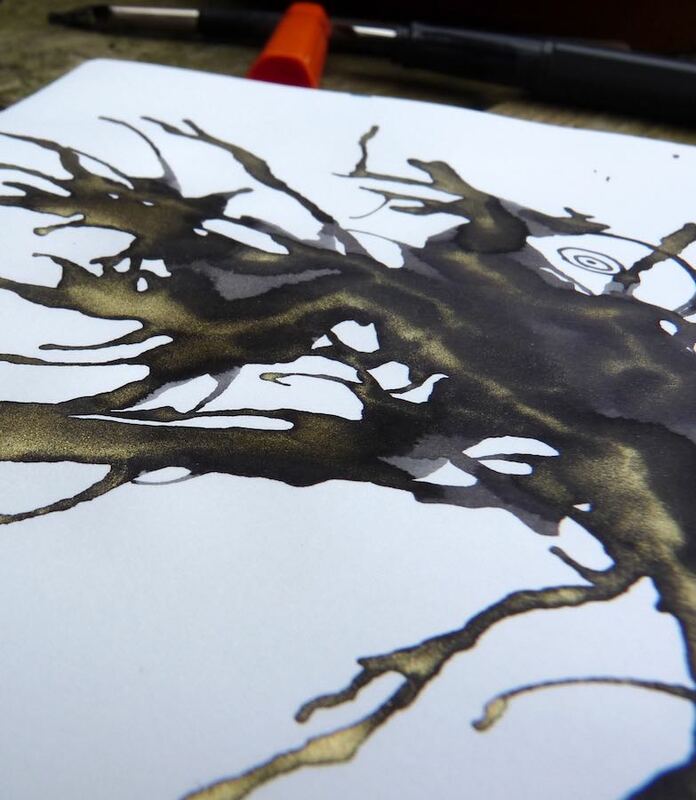 J. Herbin are certainly making a scene with their 1670 range of sparkly inks. In a large part this must be because they are so photogenic. In day to day use Stormy Grey hides it’s sparkle and comes across as a fairly average dark grey, maybe with an occasional hint of gold here and there. With a big wide and wet nib its qualities literally begin to shine through. I personally wouldn’t use this in a fountain pen as a general rule, not just because of concerns about the gold flecks sticking in the feed and clogging the pen, but because it’s a waste of what’s best about this ink. Use it in with a folded nib or a fat wet dip pen or, if you’re feeling adventurous, a fountain pen with a music nib. I will be buying a bottle myself but I’ll be keeping it for special occasions. Here I am doodling the Inkling. This one is definitely worth a watch, if only to see the gold appear as the ink dries. This sample was given to me by Pure Pens as part of their ink sample service. This is an excellent place to go to try some of the more expensive inks before you commit to a full bottle. 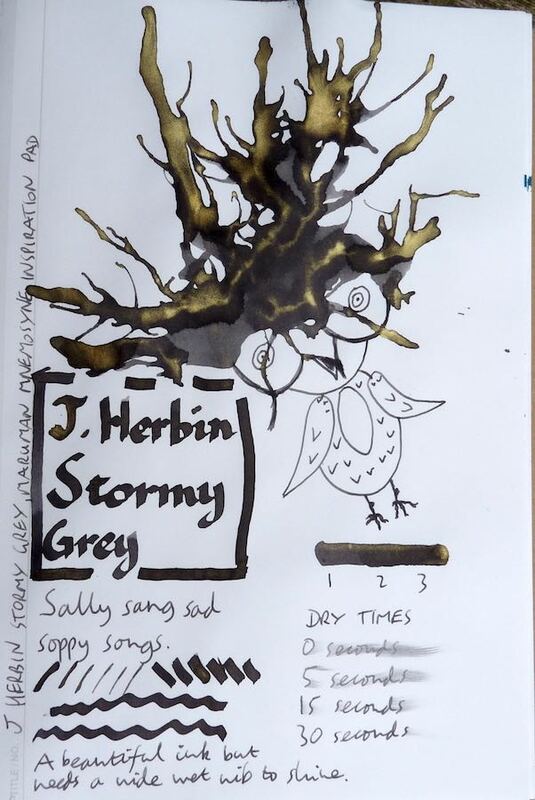 You can find dozens more reviews of J. Herbin 1670 Stormy Grey on Pennaquod.